Fr. Swetnam's Introduction to the Study of the New Testament Greek has become a standard reference to any students have asked if there exists a lexicon, to accompanying Fr. Swetnam's two volume Opus. 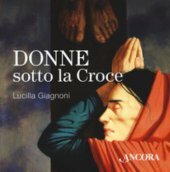 The initial response was to direct them to any of the leading Greek-English lexica. Then, we realized that their problem was not so much searching for the meaning of the words, but in finding them with-in the grammar itself. 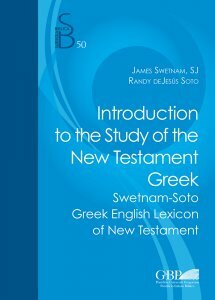 Consequently, we decided to create and organize the Swetnam's-Soto Greek English Lexicon of New Testament. The SSGELNT is structured in a way that it may be used as a companion to Fr. Swetnam's Grammar, or as an independent lexicon. The first part contains all the Greek words present in the grammar ordered alphabetically, and the second part, the Greek words present in the Grammar but by lesson (1-67).There are also two appendixes to this lexicon: one on the use of Preposotions, another on the use of those most needed particles for any language.